Racing de Avellaneda has under 2.5 goals in their last 5 games in Superliga (Argentina). Racing de Avellaneda has under 2.5 goals in their last 5 home games in Superliga (Argentina). Racing de Avellaneda won their last 5 games in Superliga (Argentina). Racing de Avellaneda won their last 3 home games in Superliga (Argentina). Racing de Avellaneda scored in last 3 home games in Superliga (Argentina). Metz has over 2.5 goals in their last 3 games in Ligue 2. Metz has over 2.5 goals in their last 4 away games in Ligue 2. Sochaux has under 2.5 goals in their last 6 games in Ligue 2. Sochaux has under 2.5 goals in their last 7 home games in Ligue 2. Metz scored in last 8 away games in Ligue 2. 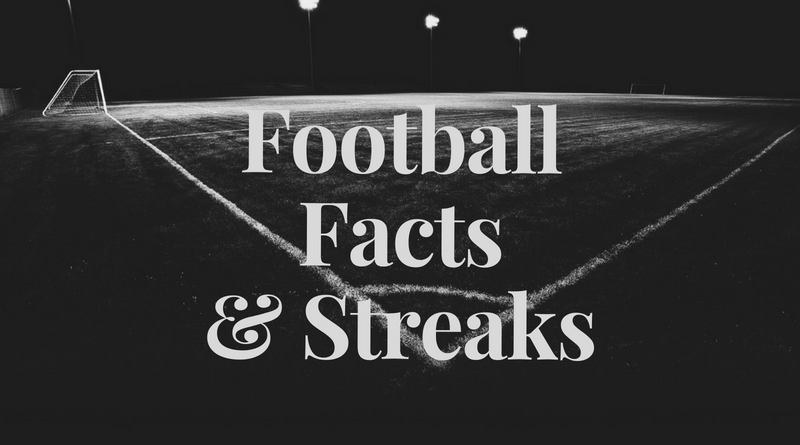 Frej has over 2.5 goals in their last 4 home games in Superettan. Jonkopings Sodra has under 2.5 goals in their last 3 away games in Superettan. Gefle lost their last 3 home games in Superettan. GAIS scored in last 8 away games in Superettan. Frej scored in last 4 home games in Superettan. Jonkopings Sodra didn’t score in last 3 away games in Superettan. GAIS scored in last 6 games in Superettan. Gefle didn’t score in last 3 home games in Superettan. Osasuna has under 2.5 goals in their last 3 games in La Liga 2. Osasuna allowed opponents to score over 1.5 goals in last 7 away games in La Liga 2. Hapoel Tel Aviv has under 2.5 goals in their last 5 games in Premier League (Israel). FC Ashdod has under 2.5 goals in their last 3 away games in Premier League (Israel). Hapoel Tel Aviv has under 2.5 goals in their last 3 home games in Premier League (Israel). Hapoel Tel Aviv ended draw their last 3 games in Premier League (Israel). FC Ashdod scored in last 3 games in Premier League (Israel). Jaguares de Cordoba has over 2.5 goals in their last 8 away games in Primera A (Colombia). Envigado scored in last 4 home games in Primera A (Colombia). America de Cali allowed opponents to score over 1.5 goals in last 4 games in Primera A (Colombia). Boyaca Chico allowed opponents to score over 1.5 goals in last 3 home games in Primera A (Colombia). Jaguares de Cordoba scored in last 5 away games in Primera A (Colombia). America de Cali scored in last 3 away games in Primera A (Colombia). Jaguares de Cordoba lost their last 6 games in Primera A (Colombia). Jaguares de Cordoba lost their last 4 away games in Primera A (Colombia).